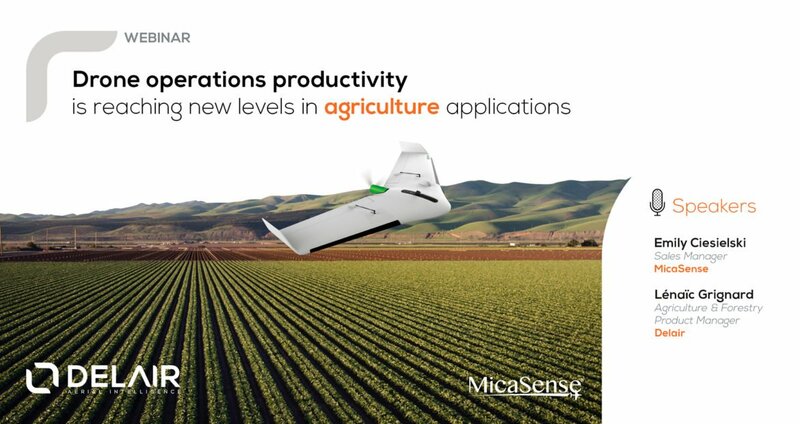 The presentation will be illustrated with various crop management examples using drone aerial intelligence. Emily is a Part 107 certified drone pilot who has been with MicaSense for over two years, working to build a strong partner network with drone manufacturers and integrators across the globe. Emily’s familiarity with agricultural best practices, combined with knowledge of multispectral imagery, allow her to best guide interested sensor users and support MicaSense’s partner network with quality information. Lénaïc Grignard is in charge of the agriculture offer at Delair, a leading company in professional drones for industry and aerial data. She joined Delair in 2016, convinced that drone solutions will bring considerable value to agriculture. She was previously leading the R&D department at GEOSYS, a world pioneer company in remote sensing for agriculture. She is graduated from the agricultural engineering school Montpellier SupAgro, specializing in ag-tech and innovation. This webinar was first broadcasted on Thursday 02/14/2019. You can now watch the replay whenever you want. If you could discover a genuinely cost-effective and accurate drone-based approach to analysing each individual plant across your vast agricultural plots, how would that affect your business?